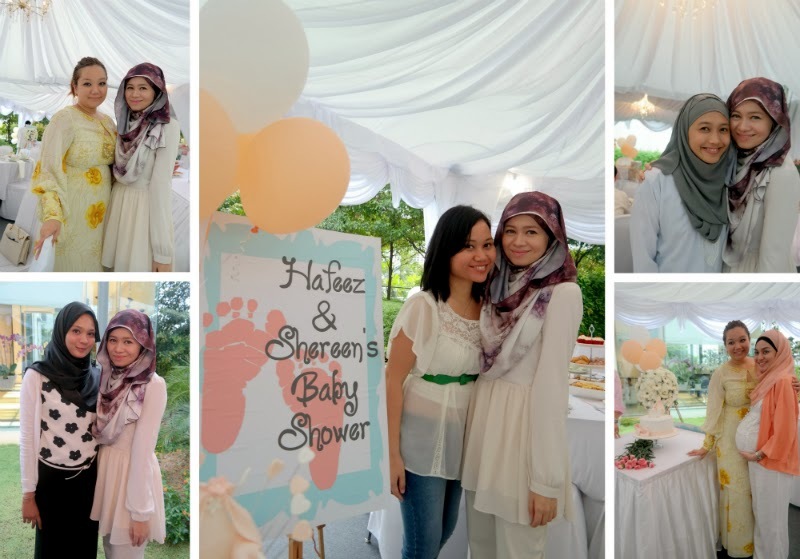 The Awesome Baby Shower for Shereen & Hafeez to welcome Hannah : Super Long Post! My sister Shereen Bahawi gave birth to Hannah Hafeez on 20th September 2013 last Friday at 5.45pm. Sheer is my bestfriend and my sister. It is God's plan that we both gave birth to our first child and first daughter in the same year. This post is dedicated to a beautiful soul, the kindhearted and caring Shereen. The sister I never had. 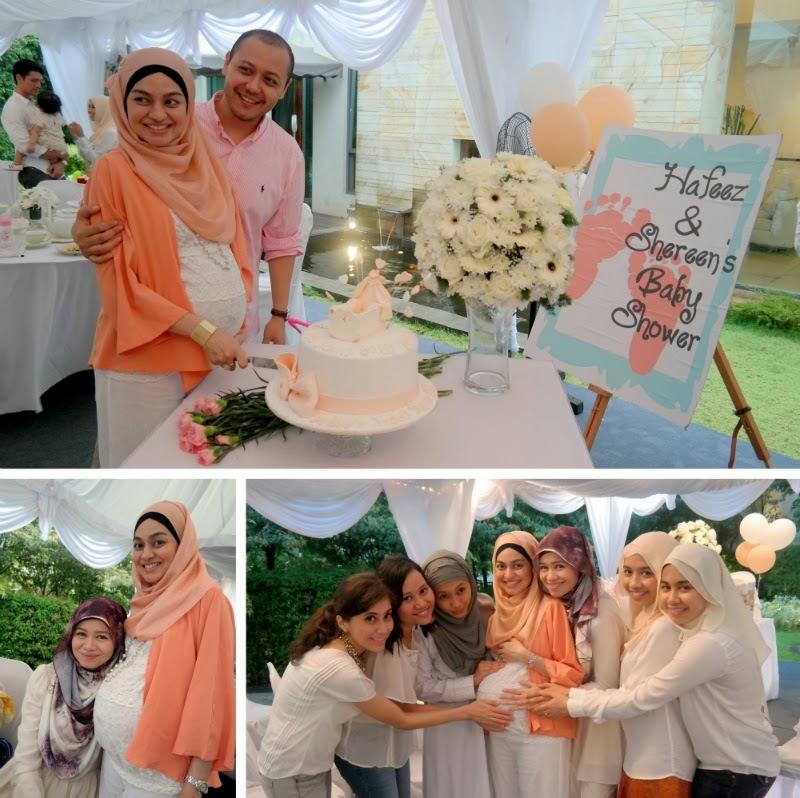 I remember when I was pregnant and when I was in the hospital from 1st November 2012 until January 2013, Shereen was amongst those few who was there at the hospital almost every week. She would come just to accompany me, and always brought me food, air zam-zam, books on prayers and other things. Sheer's mother came too and taught me supplications and duas to recite always. 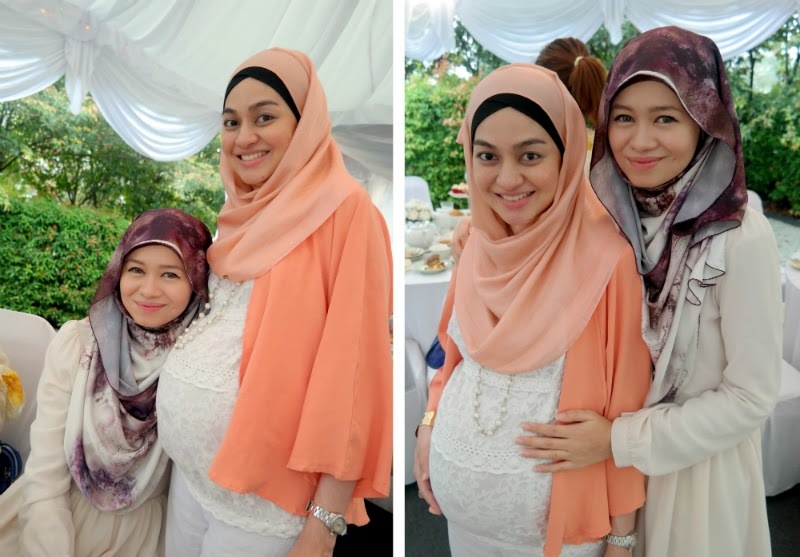 When I was discharged and in my confinement, Shereen brought me some special pantang (confinement) food cooked by her mum, lent me a book on pantang and contacted and arranged for the midwife to care for me when me and our family were still in our early grieving stage. There are just too many more things that she have done for me without ever asking anything back in return. I can count only a handful friends, gems like her. My bestfriends. A true friend not just during the good times but also hard times. 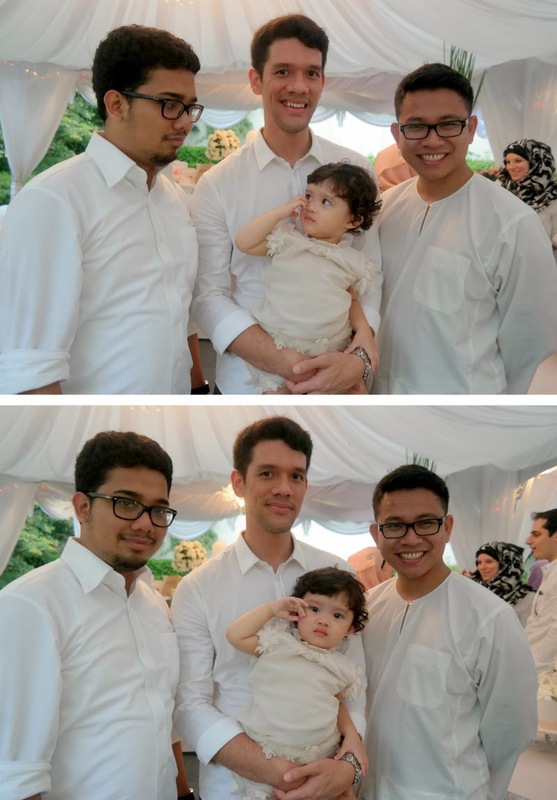 Even though some time has passed and now when most people would turn away whenever I talk about my daughter, Shereen would always from time to time bring up Jibrael's name first. Never judgmental, always understanding. I am truly blessed to have her as my sister. 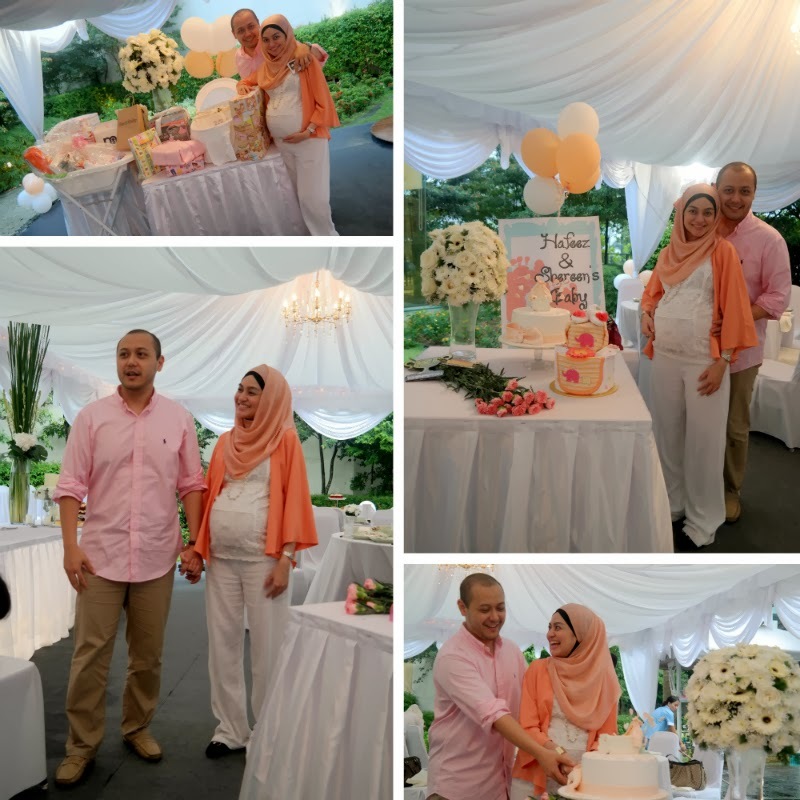 Shereen found out that she was pregnant some time in December 2013, yet she never mentioned it to me in all her visits to the hospital and waited until late March to break the news to me, as she knew I was going through a difficult period. She hid the news from me eventhough we met so many times through her countless visits. I couldn't be happier for her when I found out the news, as a loving and caring soul like her truly deserves the best gifts in life. 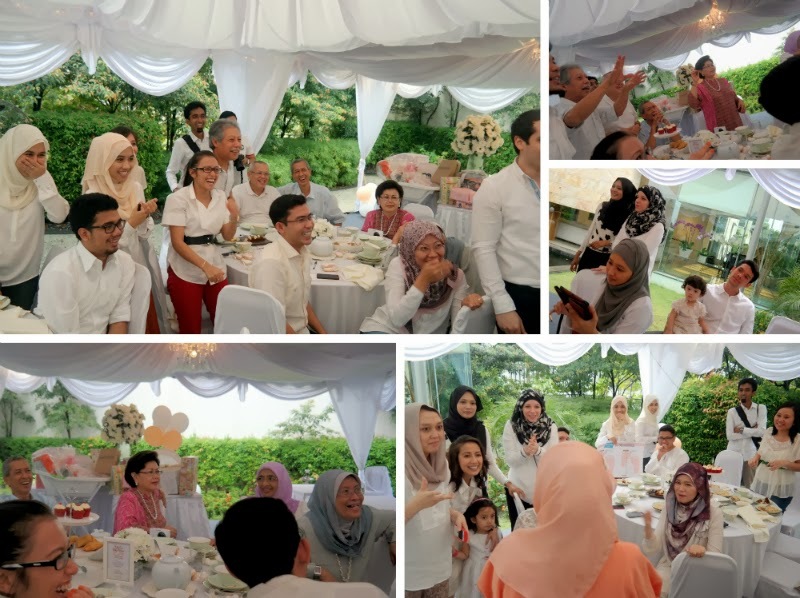 A bunch of Shereen's close friends celebrated her (then) impending motherhood with an all-white themed bridal shower held on 1st September 2013 at her in-laws house organised by Hasanah Hilmi, Aida Ishak and Sarah Hilmi. These three girls did a superb job in organising and hosting the event with the help of Shereen & Hafeez' family members. 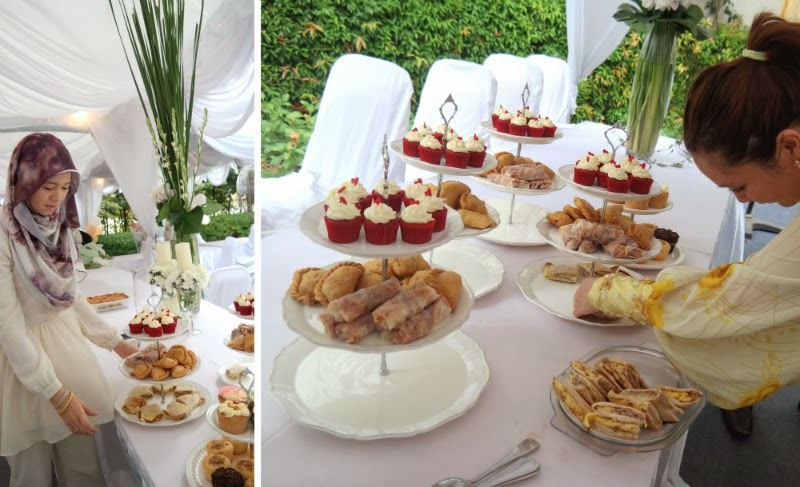 Due to my personal circumstances, it wasn't easy for me to attend these types of events. Birthdays, showers, weddings, crowded places generally etc. Only those close to me understand what I've been going through till now. Everything is not the same anymore. But, Alhamdulillah all praises to God it went well this time around. This was the first baby shower that I didn't break down. I've forced myself to go to a few after I came out from the hospital because I wanted to and it didn't go so smoothly. Don't get me wrong. Quite a number of my friends and relatives gave birth this year. 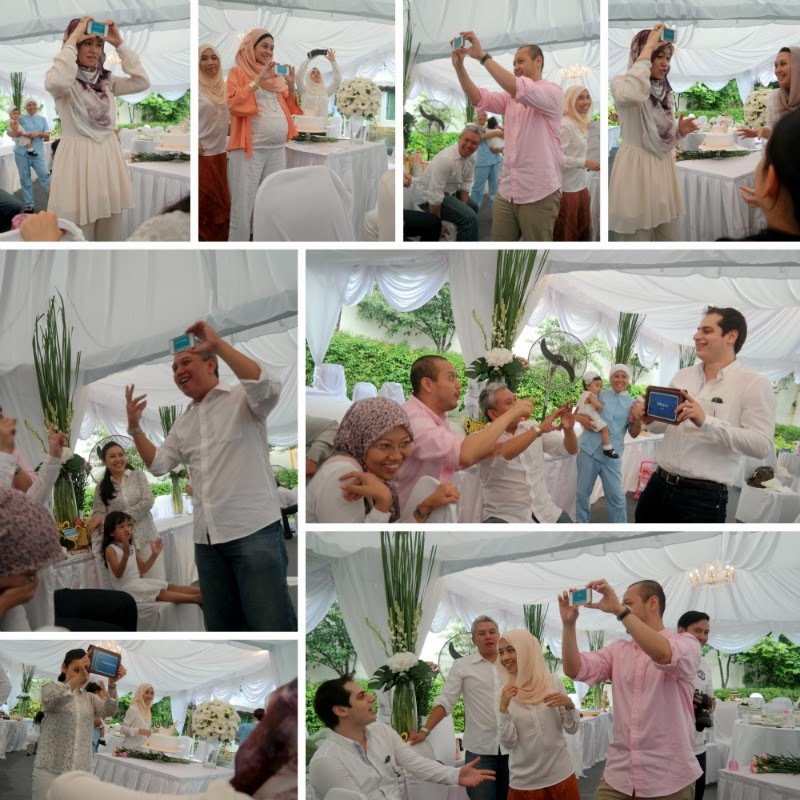 As a friend, of course I would love to share their happy moments. But sometimes it is just so difficult. It is not because I'm sad or unhappy, as I truly am happy for them, I really am, it is just that there are certain triggers or mental blocks that will cause me to break down unexpectedly or without warning due to what I have experienced this one year. And when everyone is celebrating and being happy, I know they do not want to deal with my breakdowns. I just cannot control it at certain times. It is not something people would have expected of me especially those who have known me before I gave birth. And I do not want them to pity me. Which is why sometimes I just don't go. I suppose I felt comfortable going because Shereen also came to see me a lot of times and continuously few days before the event. We spoke and poured our hearts out to each other. No explanation is possible because I myself am learning to deal with it. I'm thankful to have been blessed with my supportive family and closest friends who's all helping me to go through this time. Truly blessed. Only God knows and all strength and power comes from Him.God, my family and my closest friends, my ultimate comfort zone at the moment. The event went so well and I congratulate the organisers for hosting such an awesome event! 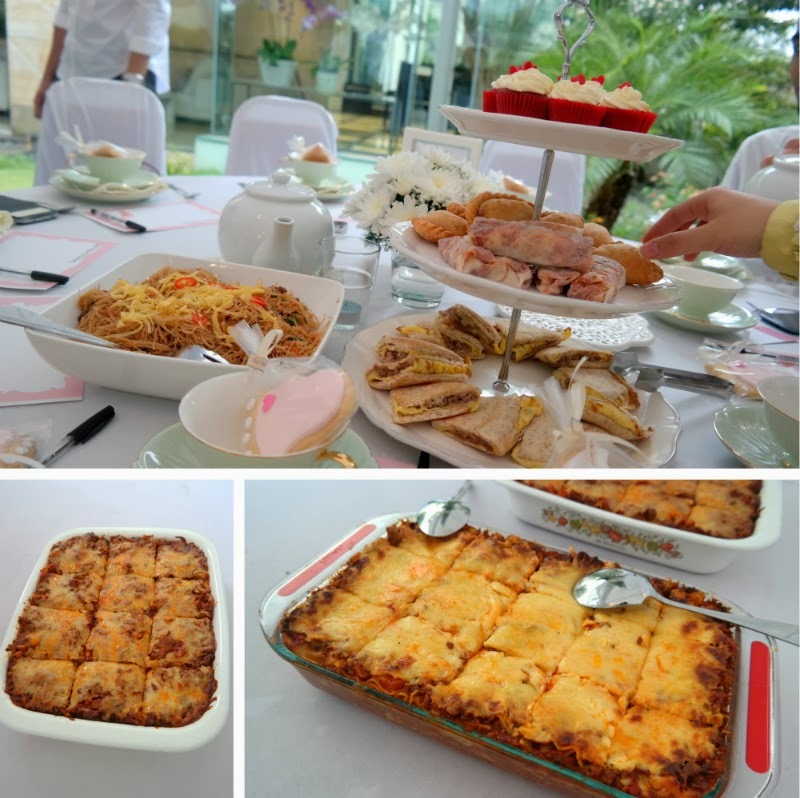 The food were yummilicious! The games were fun too. Everyone participated playing heads up (our team won by the way!) 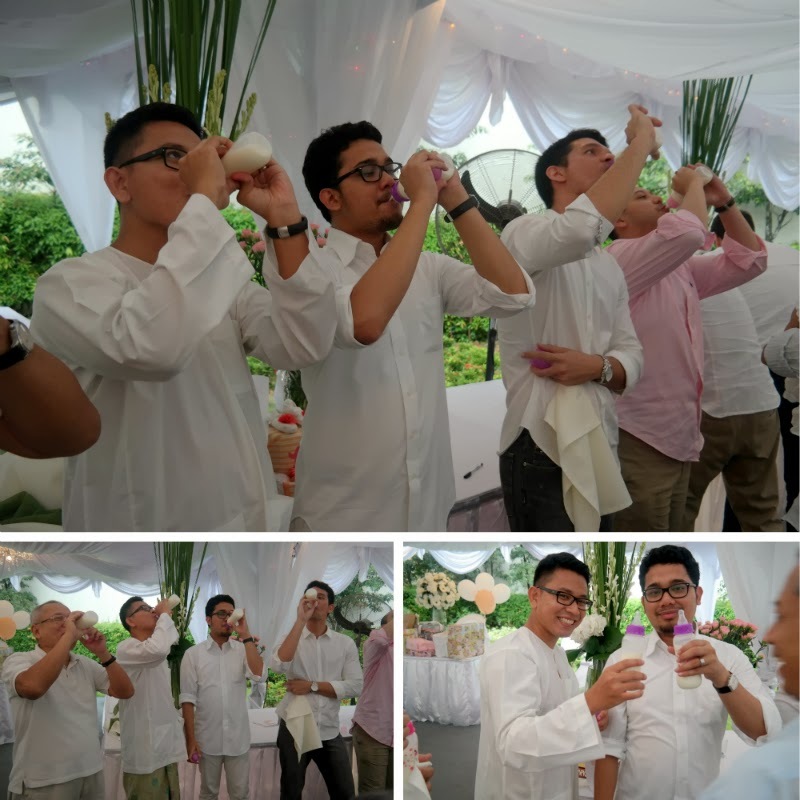 and the funny bit is when the guys had to compete drinking milk from baby bottles. It was really crazy funny. 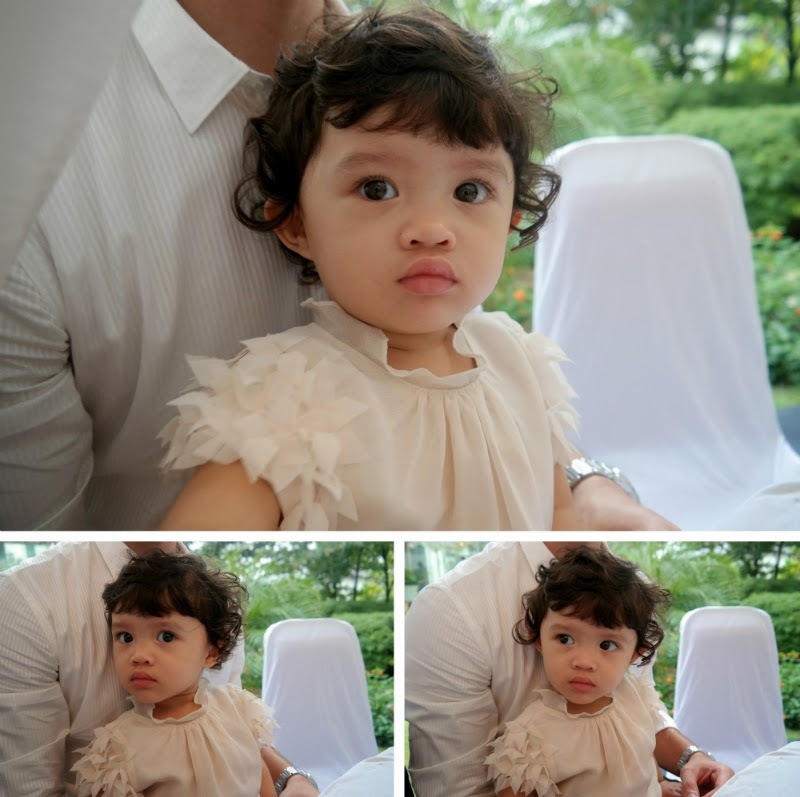 I also couldn't stop taking pictures of Qadriyya! She's so beautiful praises to the Creator. 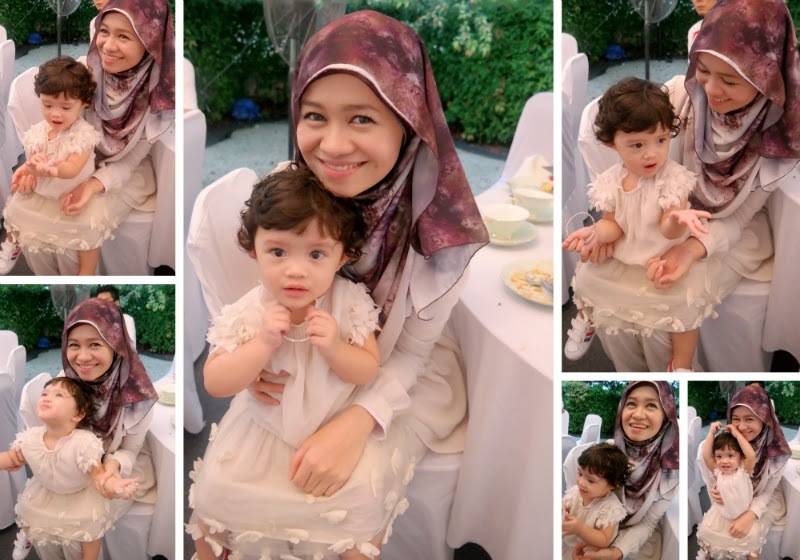 Our other sister Hasanah Hilmi's 1 year old daughter with Ashraf. The gem I mentioned above? Hasanah is without a doubt one of the few. 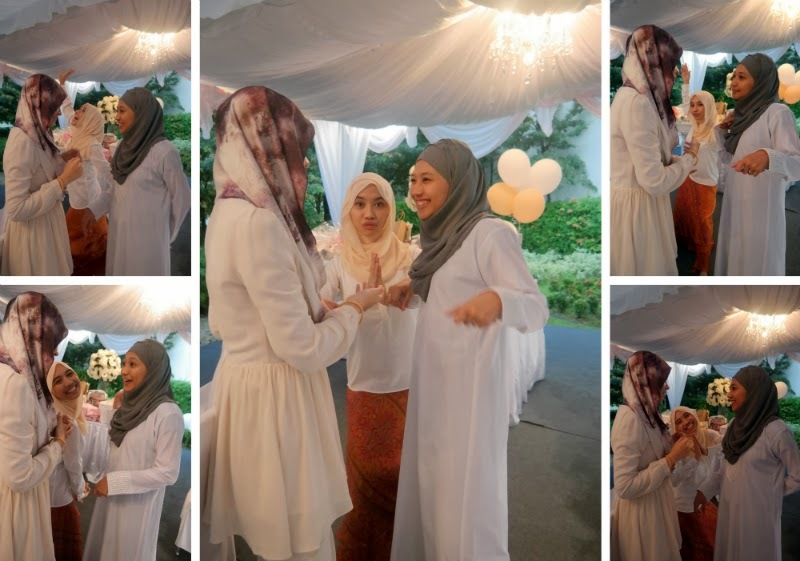 I remember Hasanah always mentioned back then that our daughters would be best friends. Just like us. 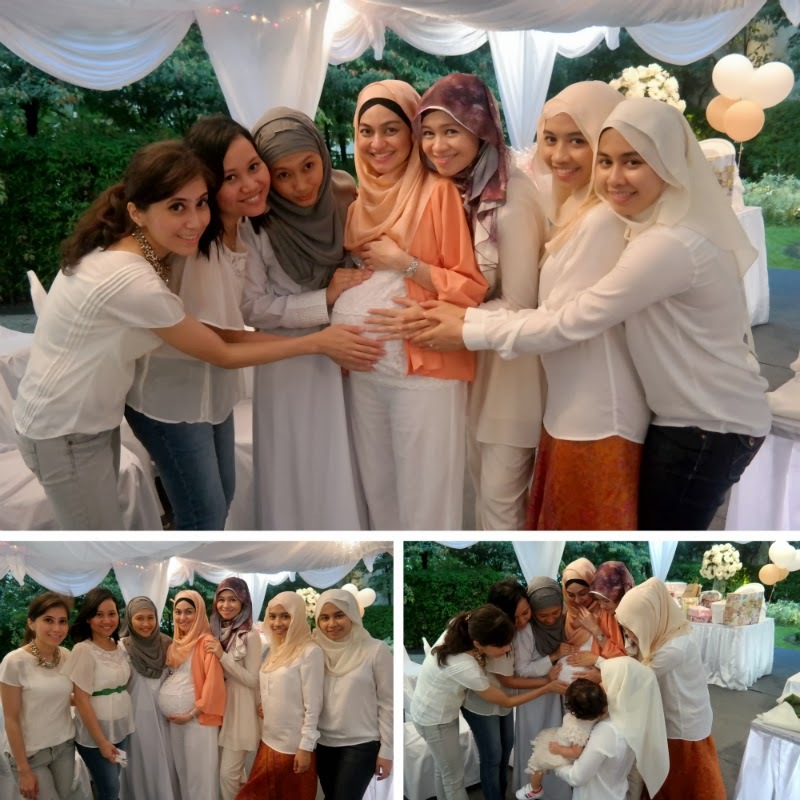 :) I feel a strong bond with Qadriyya especially because when i was pregnant with my daughter, Qadriyya sat on my hospital bed and touched my belly and talked to Jibrael. Baby language of course. :) Qadriyya and family cheered me up and made me laugh so many times in the hospital and during my confinement. Until today the profile picture of our active whatsapp group which name remained "For Jibrael" together with my sisters Ruzana Ibrahim and Fahima Salleh is a picture of Qadriyya smiling happily together with me on my hospital bed when I was carrying Jibrael. Uploaded by Hasanah back then when I was in the hospital. Always make me smile. Beautiful moments gifted from the Most Gracious, Most Merciful. Sometimes I wonder what did i do to deserve sisters like them. All praises to the Almighty. 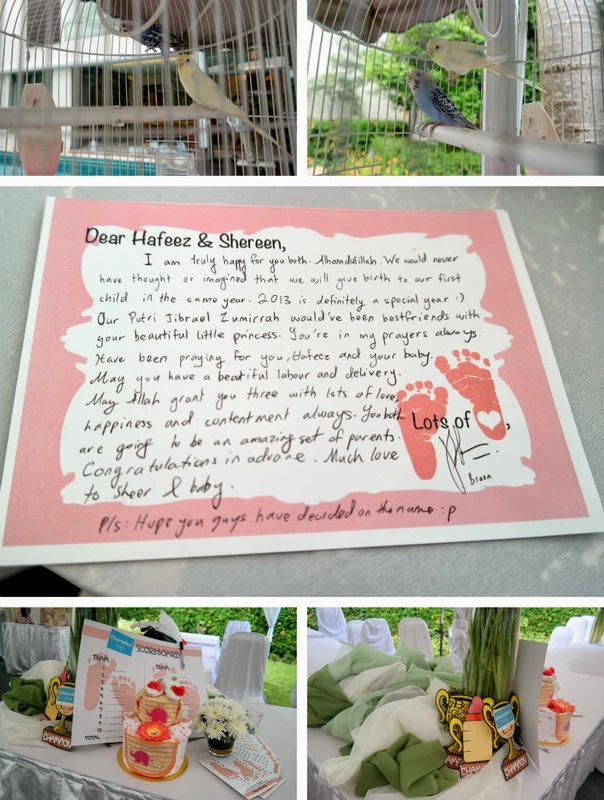 Congratulations Shereen & Hafeez. I'm extremely happy for you both. You both are going to be awesome parents. May God make it beautiful and easy for you both. May God protect your family from harm and grant you joy, happiness, His Love and contentment always. She's beautiful Subhanallah. Being a parent is a wonderful feeling, to witness and to feel the miracle of life, the greatness of God. All praises belong to the Creator. Enjoy the pictures! 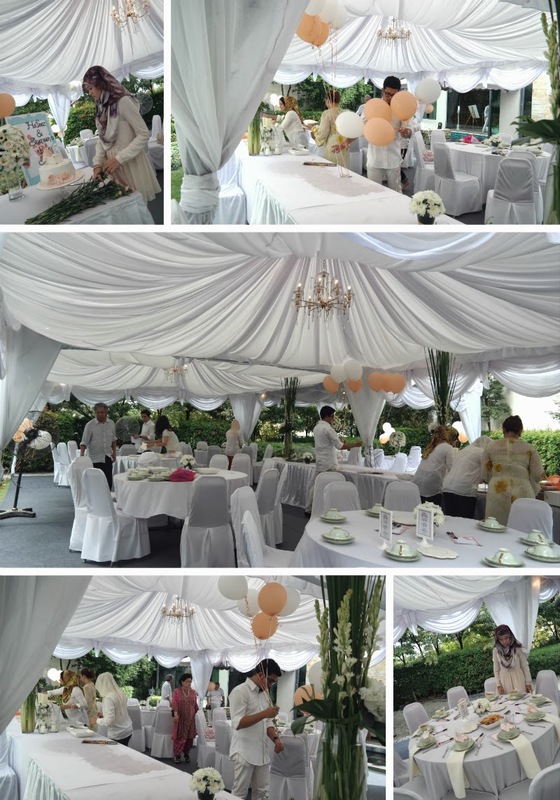 I always love all white themed events! 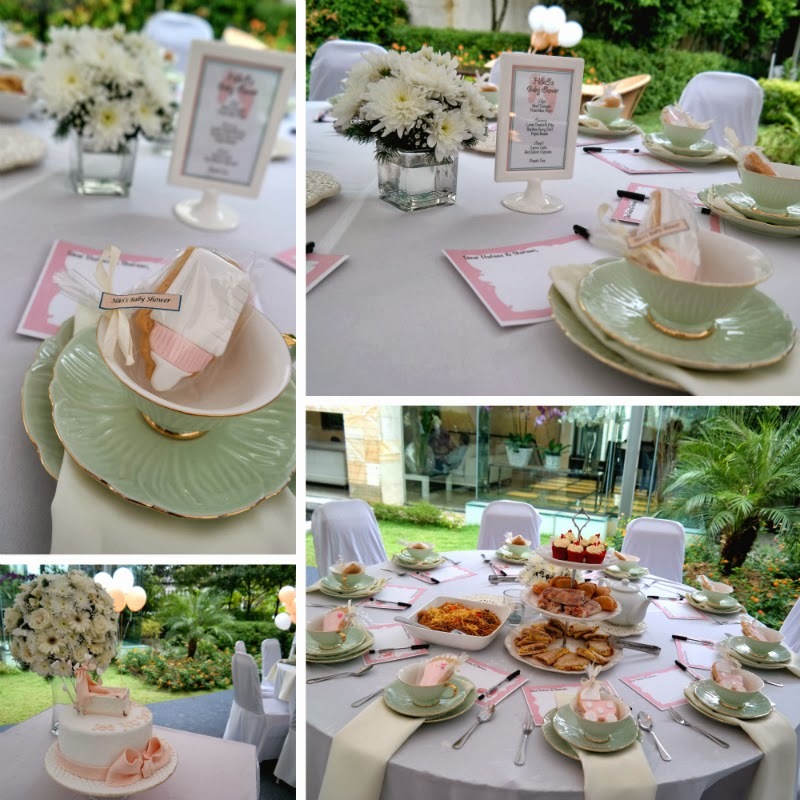 Sheer's solemnization ceremony where I was her maid-of-honour (as she was mine), her Engagement Part 1 and Engagement Part 2 now seem like ages ago. May we have many many more memories. 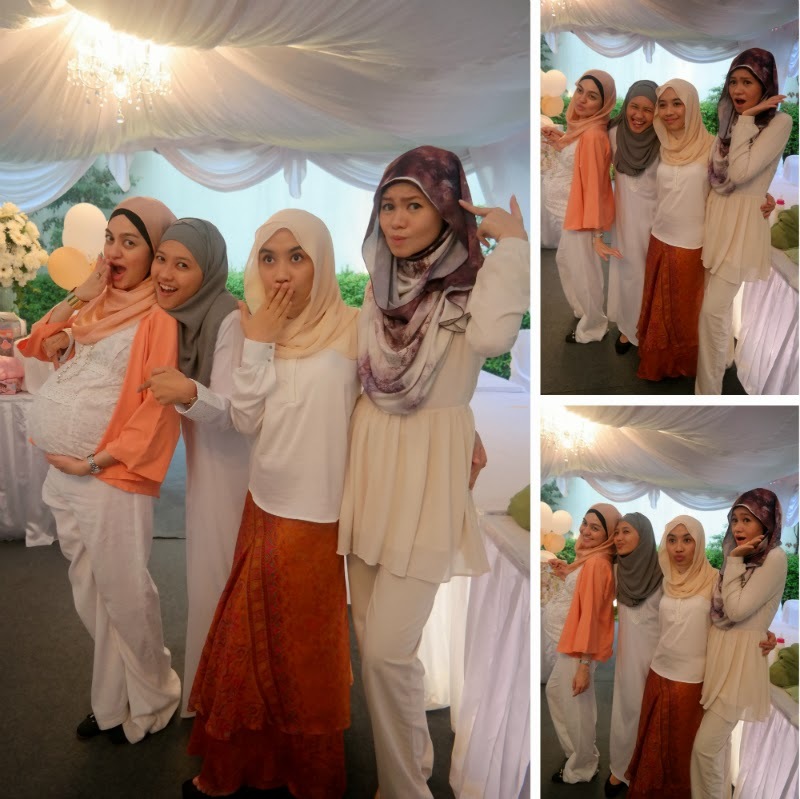 L-R : Hasanah Hilmi, Fahima Salleh & Shereen Bahawi my sisters. thanks for the picture and my husband looks so excited in the pic tho.hahaha lol. Ive ben folowing to read quite all ur posts up til now..bt never write any coments.. Heres d 1st one.^^ i also lost one of my precious life bt didnt get to share wth public like u did.. Coz to me its so hard to xpress in detail words n im not gud at it.. Wht u had experienced n ur way able to share to public its inspiring me somehow.. But rather in words i xpress myself in painting most of d time..
Thres not lots of story thre to mention..but i thnk thts d only way tht i cn do to share n xpress my life xperience to public..
Hav great days ahead n do take care thre..